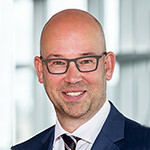 In early 2014,the National Tax Tribunal (Landsskatteretten) published its first transfer pricing decision regarding a cash pool arrangement. The decision concerns the determination of intercompany interest rates on deposits and borrowings in the cash pool. The National Tax Tribunal ruled that the Danish tax authorities were allowed to disregard the transfer pricing applied by the company in question due to inadequate transfer pricing documentation. Furthermore, the National Tax Tribunal concluded that the Danish company’s deposits in the cash pool arrangement should be considered as loans to the cash pool administrator, and that the interest rate should be set accordingly (click here for more information). This decision stresses the importance of adequate transfer pricing documentation for financial transactions such as cash pool arrangements. For a deeper discussion on transfer pricing documentation for your business, please do not hesitate to contact David Ledure.